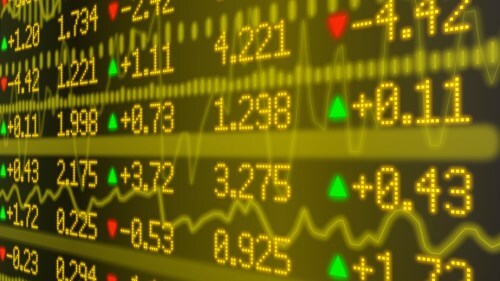 Energy stocks led the gains on the main TSX index Thursday but although six of the 10 sectors were in positive territory, the drag of the materials and health care sectors proved too much; the index closed narrowly lower. West Texas Intermediate rose above $50 as oil prices gained more than 1.2 per cent, a 4-month high, but gold was down almost 1 per cent as markets weighed the likelihood of a US interest rate rise before the end of the year. Wall Street also ended the session lower, except for the S&P500 which was slightly above water. Asian markets closed higher while European indexes closed lower ahead of US jobs data Friday. The deputy governor of the Bank of Canada said Thursday that adjustments to the economy are underway with the lower oil prices of the past 2 years coupled with an aging economy and slowing productivity growth. Carolyn Wilkins told an audience at Université du Québec à Trois-Rivières that “there has been progress, but also a few setbacks.” She said that the economy is behind in terms of its potential growth in line with many other countries. With the economy diversifying Ms. Wilkins said that non-energy exports need to increase and there also needs to be investment in the non-energy sectors while government infrastructure spending would also contribute. On exports she said that it will take time to ascertain what are trends and what are temporary conditions. Non-energy exports have seen both positive and negative movement this year. “Progress has been made with respect to the adjustments I have just described, but there is still material slack in the economy,” she said. “Governing Council looks forward to providing an update on our outlook, as well as an interest rate announcement, in a couple of weeks,” the deputy governor concluded. A spokesman for Blackberry says that there will be another Blackberry device with a keyboard as the firm hands over smartphone manufacture to third-party partners. Speaking to the BBC Alex Thurber, the firm’s VP for global device sales said the phone will be released within 6 months and maintains that there is still demand for a keyboard phone.